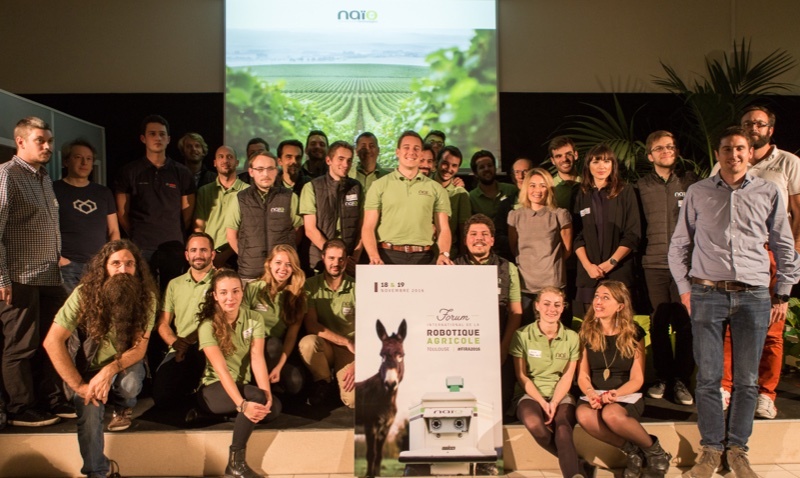 On November 18th and 19th, 2016, the first edition of the FIRA International Forum of Agricultural Robots drew some 200 participants to the Agronomic Engineering School of Purpan in Toulouse, France. This unexpectedly high turnout delighted both the organizers as well as the international speakers. A quick look back at the event. 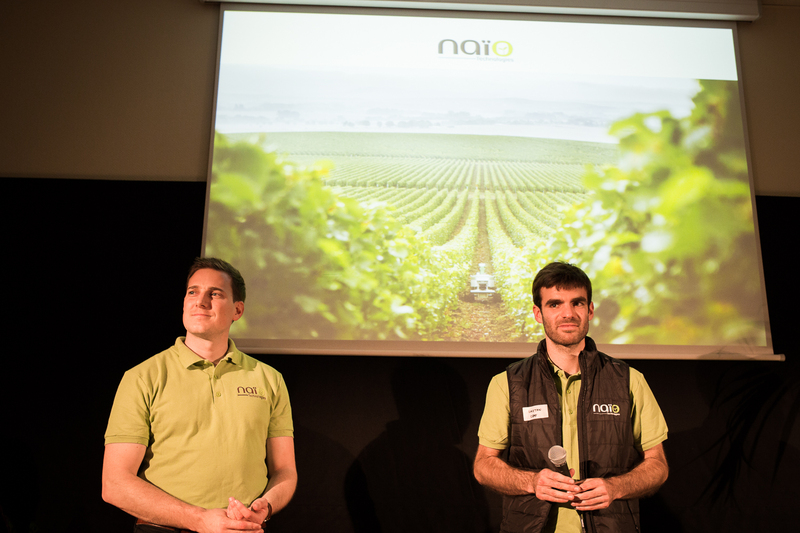 Naïo Technologies believes that the robotization of agricultural processes is inevitable to overcome these problems. Farmers will increasingly become farm managers, who will no longer have to execute repetitive tasks with little to no added value. The 2017 version of their -now famous- Oz robot, which weeds in between rows and is designed for vegetable, flower and tree farms. Today, 70 robots are already in use in France and across Europe. The Bob vineyard robot, a crawler robot for narrow vineyards (35,000€). A pilot version of these robots has already been marketed, but the Dino, Ted and Bob robots are now also available for pre-order on Naïo Technologies’ website. 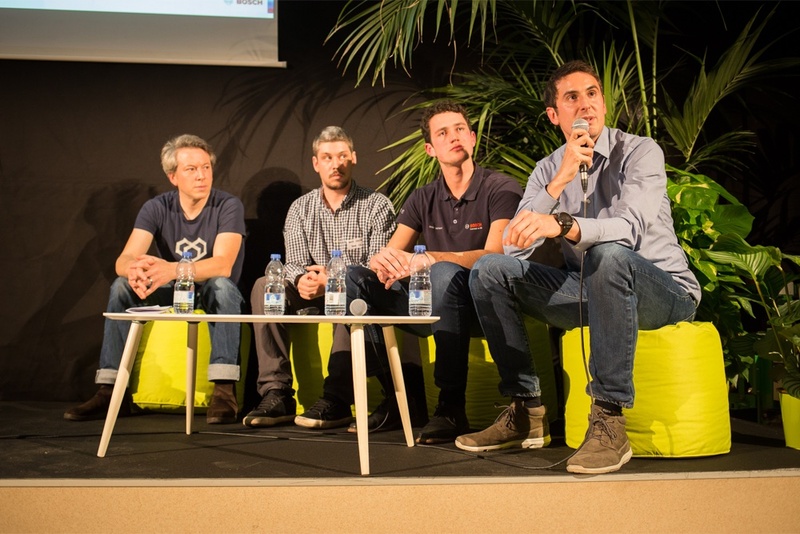 FIRA 2016 welcomed 7 international speakers, who presented new developments in the field of agricultural robotics as well as economic research and robot insurance projects. 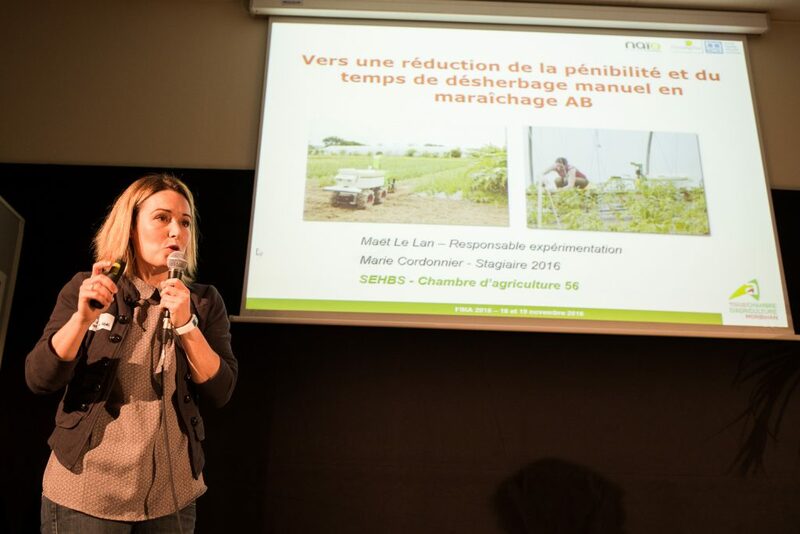 Maët LE LAN, the coordinator of the Bretagne-Sud Experimental Research Station from the French Morbihan Region’s Chamber of Agriculture. She talked about her experiments to reduce drudgery in farm work. Philippe JEANNEAUX, the VetAggro Sup teacher/researcher in rural economics, had to cancel at the last minute. 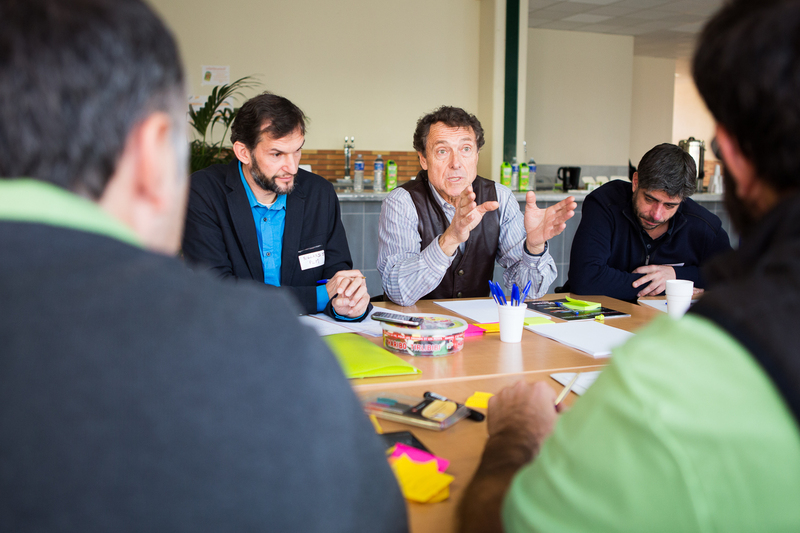 Gaëtan Séverac presented his work on the challenges farms have to meet in a time of digital revolution. Peter HANAPPE and David COLLIAUX, both of which are researchers at Sony CSL, presented the robotics projects of the Sony Computer Science Laboratory. Thiemo BUCHNER, R&D at AGCO Fendt, introduced the MARS project on Mobile Agricultural Robot Swarms. Maurice GOHLKE, a robotics software engineer at Bosch Deepfield Robotics, presented Bosch’s projects in agricultural robotics. 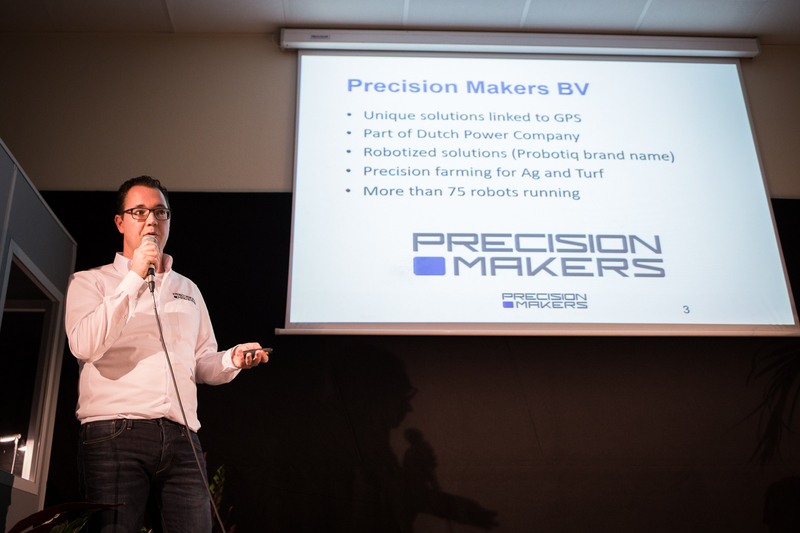 Allard MARTINET, the Director of Development at Precision Makers, talked about the applications of autonomous vehicles for agriculture and mowing. 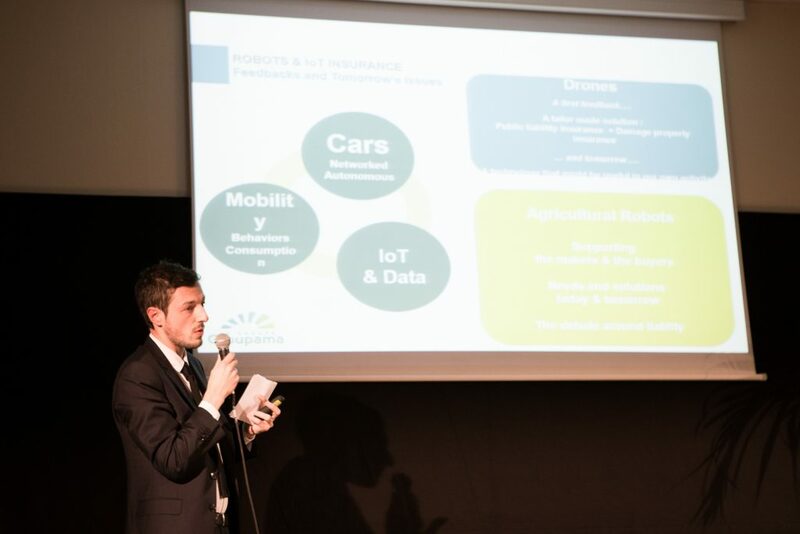 Guillaume SUC, Agricultural Machinery Offer Manager at Groupama insurers, gave a presentation on robot and IoT insurance. On Saturday, over 60 participants attended the FIRA workshops to exchange ideas on the development of agricultural robotics. On Saturday morning, spirits were high in the four groups, with animated discussions to determine the problems related to each theme. The afternoon was dedicated to finding potential solutions to solve these problems. The goal of the day was to work together in order to set up a framework for the emerging sector of agricultural robotics. The barcamp results are currently being summarized and will be available shortly. All participants acknowledged the need for events like FIRA to better structure the sector and some even expressed their desire to help organize FIRA’s second edition! Should you be interested, don’t hesitate to contact Naïo Technologies to help FIRA become a must-go event. FIRA 2017 is already in the making!